Targeted TV will work for your brand or industry. Just click on each image for link. 10 page booklet provides an easy way to understand a TV advertising solution based on targeted audiences, location, programming, and cost. 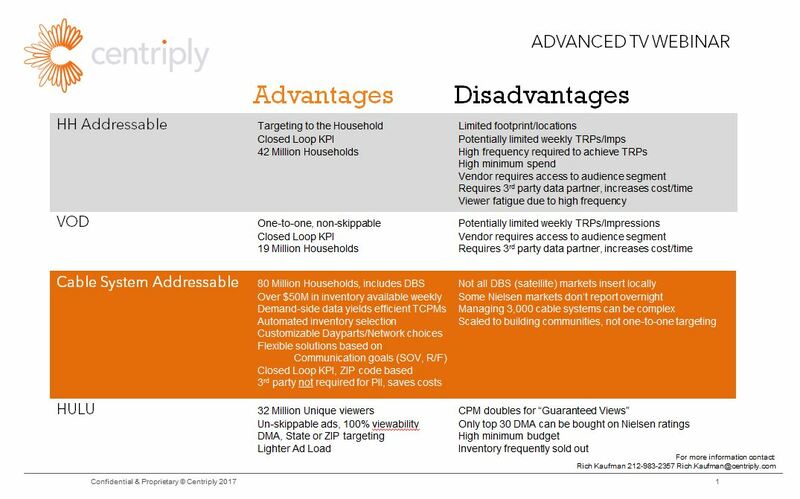 A checklist to quickly answer; when is Targeted TV right? how the TV marketplace stacks up. 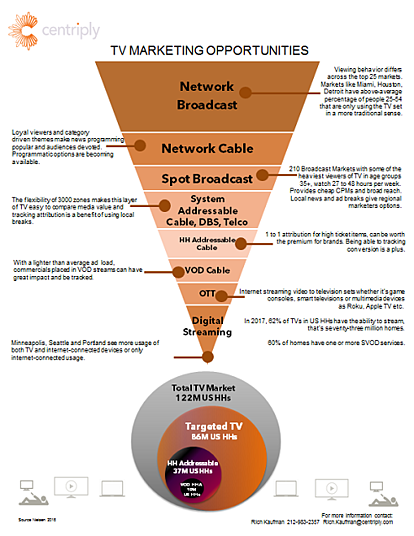 The bottom portion of the funnel includes significant Linear TV options–that fall into the Advanced TV category. how they can be combined for a full view of the whole video stack. Need the ability to measure results against your goals? What service is non-skippable and measureable? which yields some eye-popping, Targeted CPMs and ROI? illustrates the re-targeting ability of TV. sales data tracking which can gauge the impact of media performance. it completes the ROI measurement and supports ongoing decisions. 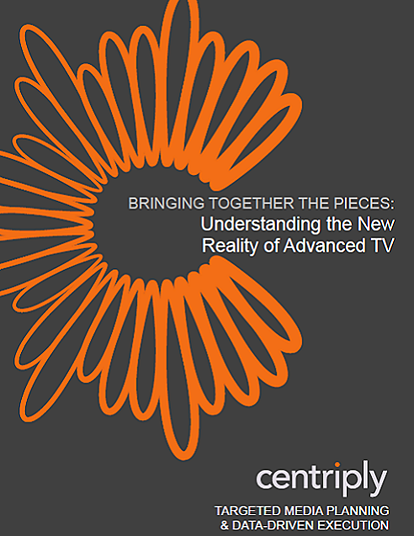 How TV and Digital can work together. Reach your consumers through out their customer journey. 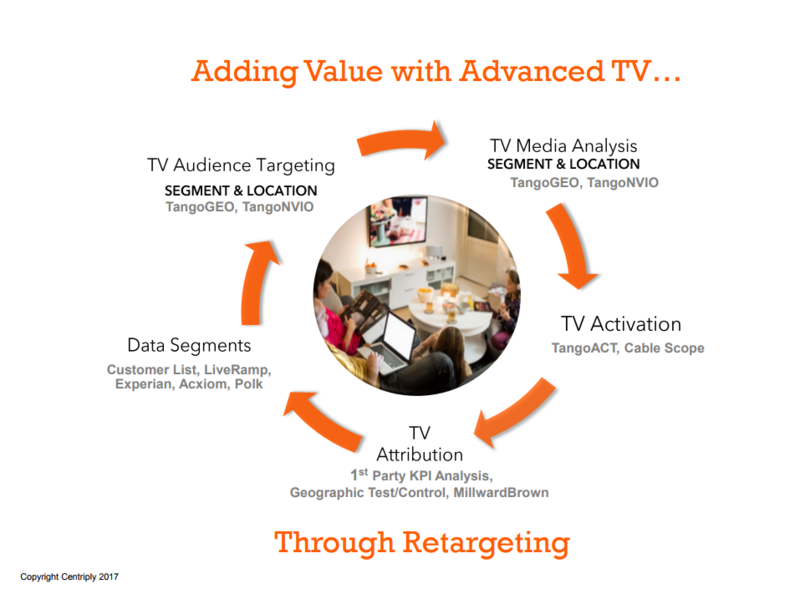 Use your customer data to power your TV media spend. Choose from millions of high quality impressions & gain access to 3,000+ cable systems, Telcos, DBS and VOD systems. Bringing together all of the pieces. Across all industries combined Location based marketing with audience targeting. 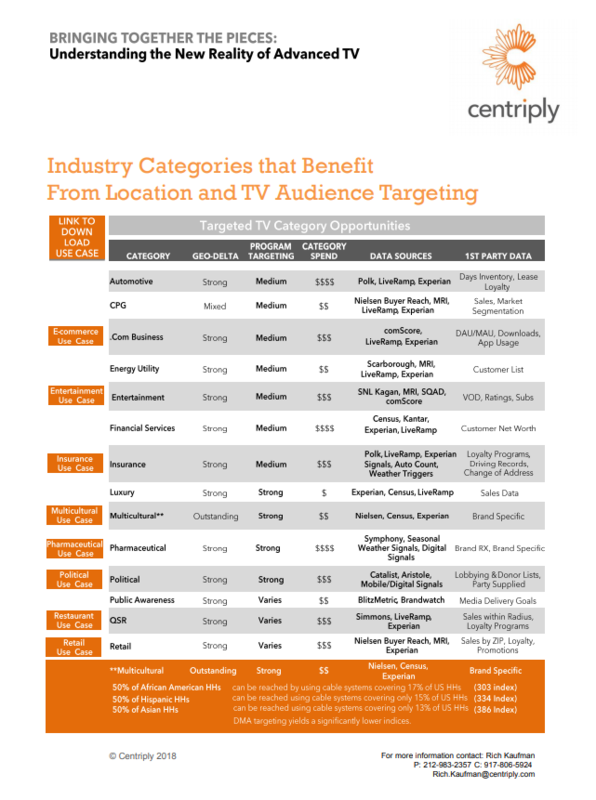 Explore eight Targeted TV industry case studies. Know your audience, find your audience. For national and regional advertisers, location targeting can be even more valuable than program environment. whenever they’re watching, AND where they’re watching. TangoACT automation meets planning specs: Data is applied to networks, dayparts, rotations. 1st or 3rd party data utilized to score TV impression value.